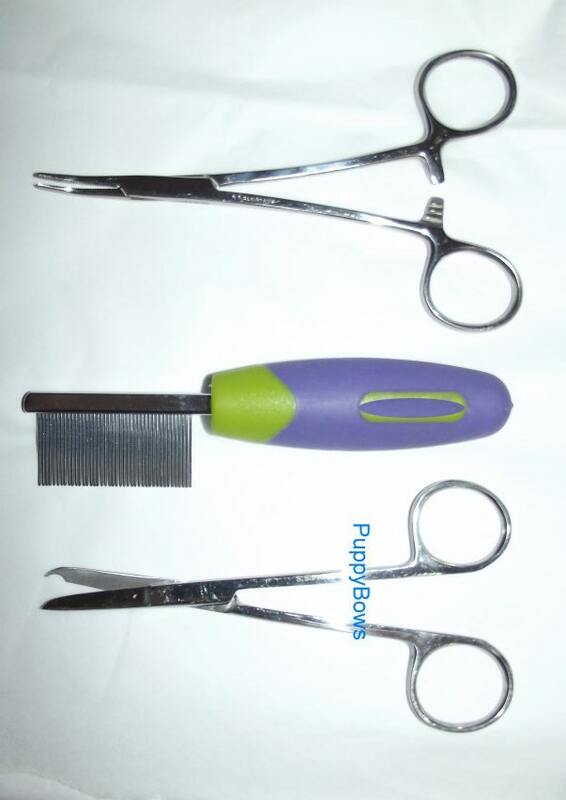 This listing is for your choice of dog Grooming topknot tools. Each item sold separately so if you want all three you must add each one to cart before purchase. First we have a mini topknot comb. It has fine teeth to easily part the hair, and comb it up into a topknot. Because the comb is only 2" long, it fits perfectly over the eyes, and is the perfect width for a topknot. Next we have the bow placement tool. Wrap a latex band around the top of this tool 2-3 times and set back down. Pick up your comb and whisk the hair up into a ponytail. 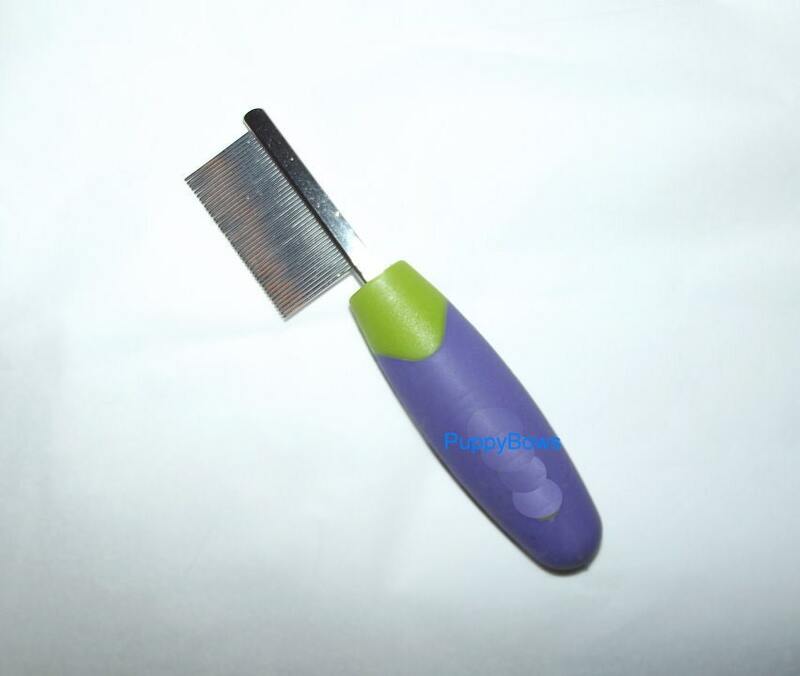 Then pick up your tool, open the tines and slip the latex band onto the pony tail. Then, simply wrap the band on the back of the bow around the top of the tool, open the spring and set gently on your premade topknot. 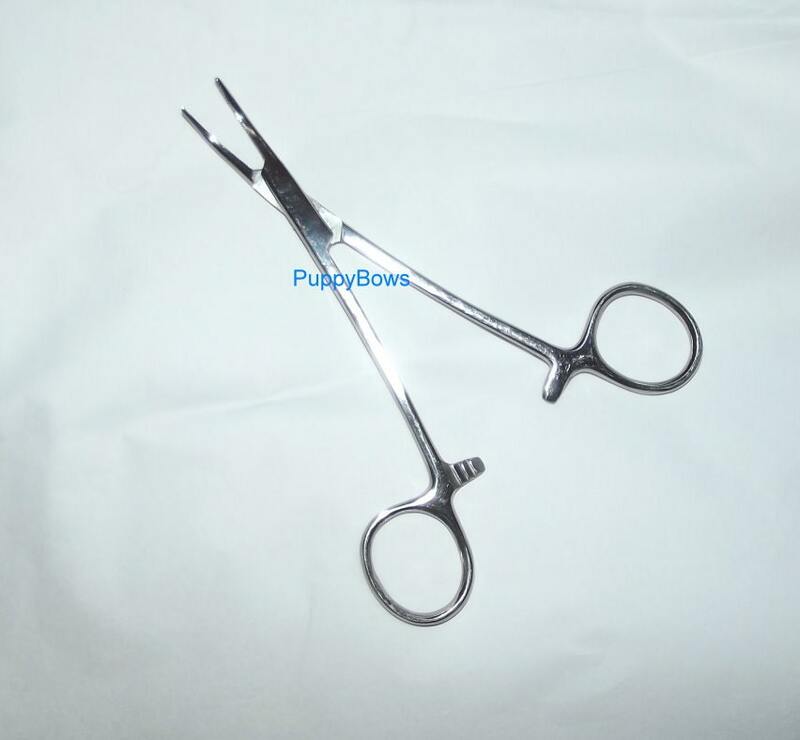 Then we have the bow removing scissors. 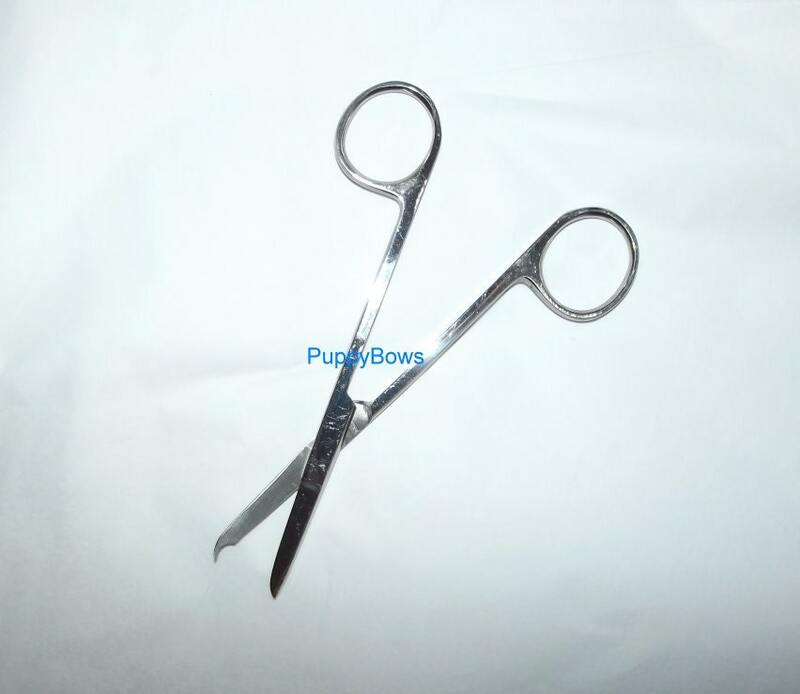 These scissors have a loop at the top for slipping up under the latex band around your ponytail and snipping just the band, leaving the hair intact.